Updates | Jay Shri Structurals in Chennai,Jay Shri Structurals was incorporated in the year 2000 at Chennai, Tamil Nadu as a Proprietorship firm. 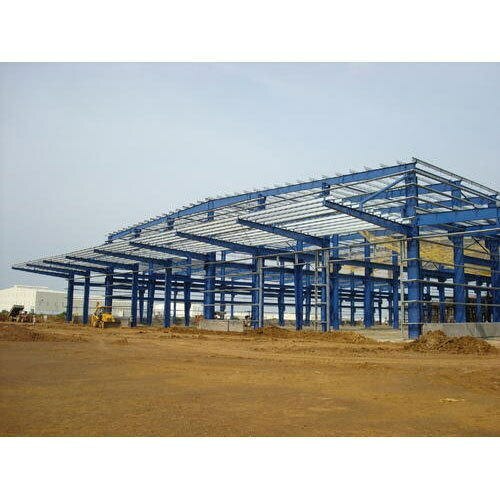 Keeping the diverse requirements of customers in mind, we are instrumental in manufacturing a quality approved range of Pre Engineered Building Shed, Pre Engineered Building Structure, Prefabricated Industrial Building and many more. These products are highly appreciated for their remarkable quality and consistency. Moreover, we also render Structural Fabrication Service. On Going Projects: 1. Ti Cycles Warehouse 2. SAR ISPAT Steel mill Structural at near Redhills fabrication and other facilities for Electrical Communication, Drive room Construction works going on in Pondicherry. 3. M.D Studio: Studio building Construction at Poonamalli, Chennai. Pre Engineered Building Shed in chennai Due to our enormous understanding and massive knowledge of this business, we are involved in the manufacturing of Pre Engineered Building Shed. This product is weather resistance.